From the Journals of a landscape painter in southern Calabria, &c by Edward Lear, 1852. The mode of travel which I and my fellow- wanderer adopted while these journals were written, was the simplest, as well as cheapest; we performed the whole tour on foot [—] In Calabria, a horse to carry our small amount of baggage, and a guide […] but as there are no inns in that province except on the coach-road, which skirts the western coast, the traveller depends entirely on introductions to some family in each town he visits. These words are from the above-mentioned journals of an original English hiker, Edward Lear, who travelled through Calabria on foot, visiting places he defined “exotic”, seeking inspiration for his many precious etchings. He stayed with local families, and this gave him greater insight into the economic, social and cultural background of the area. A number of villages in the province of Reggio Calabria have erected monuments and plaques to Lear in memory of his travels. In the foodsteps of Edward Lear in Greek Calabria. 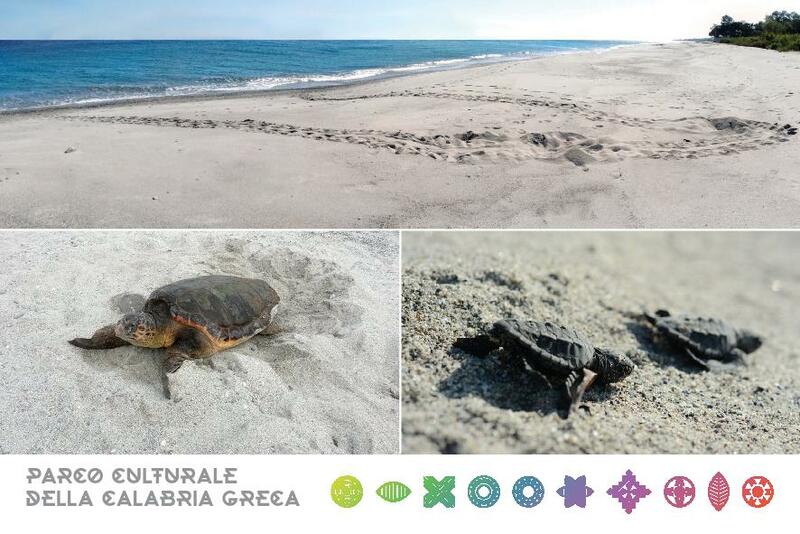 Today, many years later, the pathways covered by this English visitor are presented to tourists in updated form by the Cooperativa Naturaliter tour-operating association. Already in the mid-1990’s, inspired by Lear’s accounts of his travels, excursions on foot along nature trails linking one village to another were organised, in the company of local guides, with donkeys on tow, to carry luggage. Overnight stays are arranged in B&B’s in the villages and hamlets where the Englishman stayed. This kind of trek is “soft”, and intended for organised groups of a minimum of six to a maximum of twenty-four who enjoy walking and are in good enough physical shape to walk for a minimum of 5 to a maximum of 7 hours per day for an entire week. These walking tours are organised between March and June and from late August to October. Departure is from Prastarà di Masella in the Municipality di Montebello Jonico, where a little pillar dedicated to Edward Lear stands. Here the journey to Pentedattilo begins and ends eight days later at Palizzi Superiore. This programme is designed for organised groups of a minimum of six to a maximum of twenty-four who enjoy walking and are in good enough physical shape to walk for a minimum of 5 to a maximum of 7 hours per day for an entire week. These tours are organised between March and June and from late August to October. Departure is from Prastarà di Masella in the Municipality di Montebello Jonico, where a little pillar dedicated to Edward Lear stands. 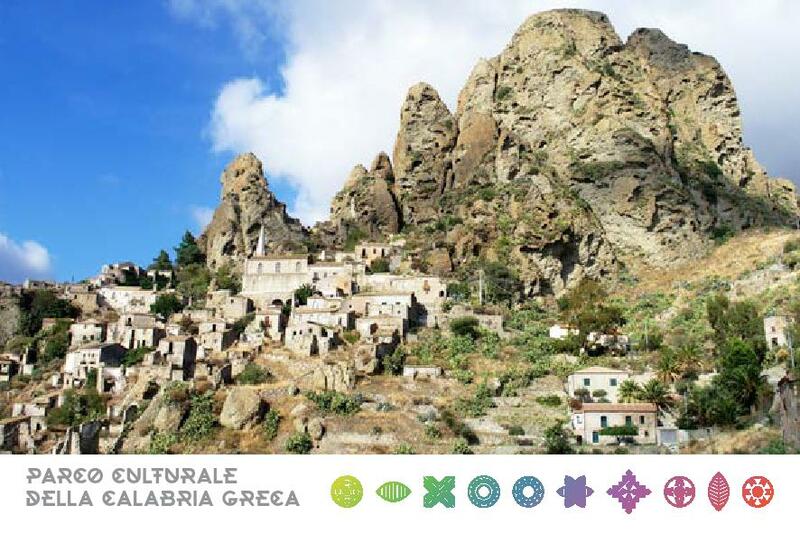 The journey takes the participants on a seven-day walking tour which brings them to the historic villages and hamlets of Pentedattilo, Bagaladi, Amendolea, Gallicianò, Bova, Roghudi Vecchio e Palizzi. 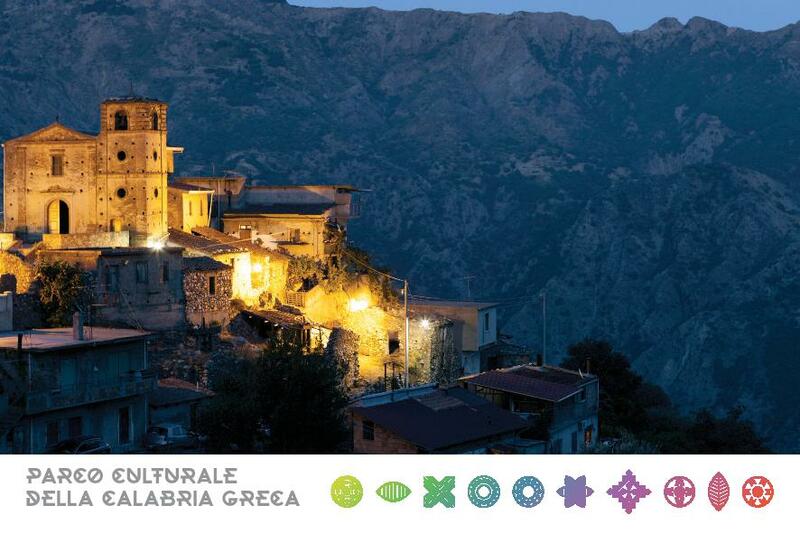 A walking tour midst the nature, history and culture of Greek Calabria. 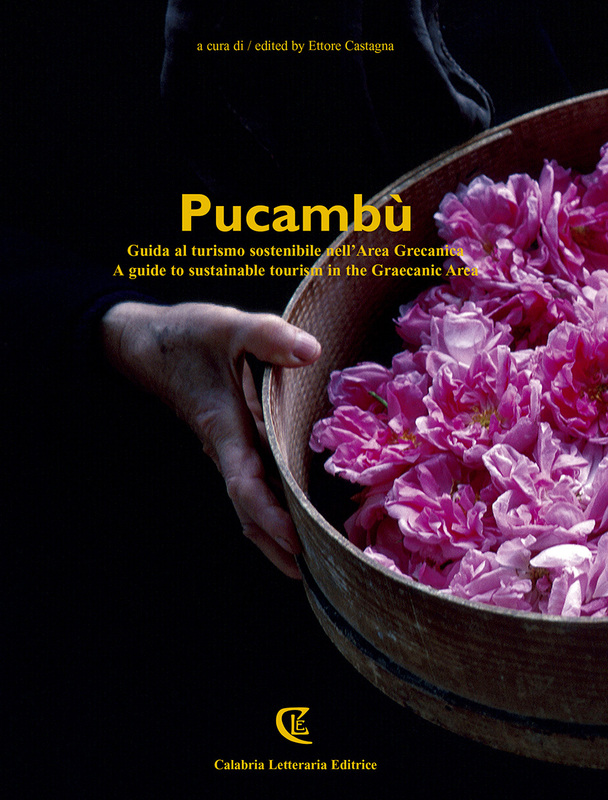 The guests, on arrival in Greek Calabria, will be given a copy of Pucambù – Guida al Turismo Sostenibile dell’Area Grecanica (a bilingual Italian-English guidebook of the Graecanic Area’s Sustainable Tourism). 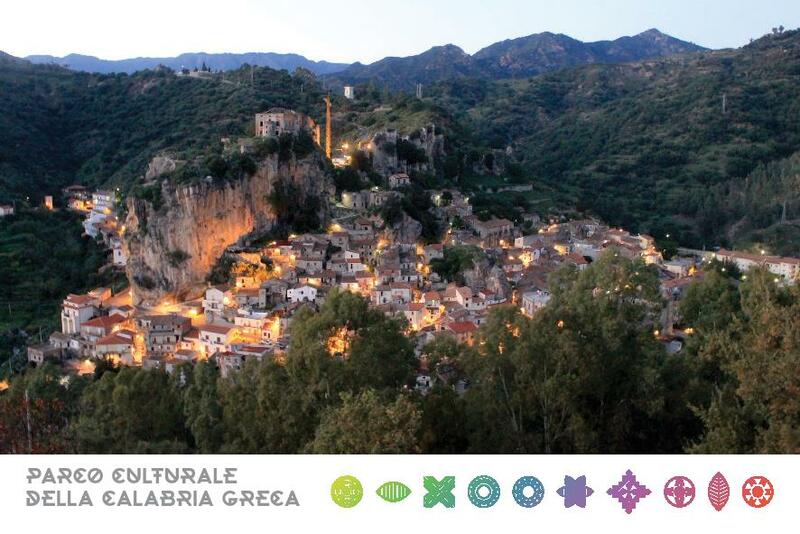 The trail is simple and winds through rock formations while providing stunning views of the village of Pentedattilo. Accommodation in apartments in the ancient village of Pentedattilo or in the nearby Hostel run by the Pro Pentedattilo Association. We leave the enchanted hamlet of Pentedattilo from the little square above the Chiesa della Candelora [Church of Candlemas], walking along the village’s little access road. After the first bed, take the dirt track which girds the fortress on the right and continue until you reach the Sant’Antonio Township, behind the fortress itself. Continue right and, after a short stretch, take the road leading downhill to the San Vito Torrent better known as the Annà River. Having reached the banks of the torrent, follow its course for a while until you arrive at the ruins of some farmhouses. Having reached the houses, take the dirt track going uphill on the slope opposite to the one you took to come down, called Vigna della Corte [Court Vineyard]. As you ascend, the view becomes more and more beautiful and evocative with the enormous Fortresses of Pentedattilo and Santa Lena, the blue of the Straits of Messina and majestic Mount Etna in the background. The climb ends at Punta di Leo [Leo Point], at 502 metres above sea level. From here, you proceed northward along the ridge. The scenery changes radically to reveal the Vallata del Tuccio [Tuccio Valley] below, full of citrus groves and urban settlements. After a short stretch at this height, you climb gently uphill until you reach olive groves and, after a few bends, to your left Monte Bosso (664 metres above sea level) appears with its rocky pinnacles similar to those of Pentedattilo. Having passed some rock formations, you arrive at a crossroads where you turn right. The track continues uphill, among the olive and oak groves, and takes you to the saddle where you find an old farmhouse surrounded by prickly-pear plants. Continue as far as Punta d’Argento [Silver Point] at 743 metres above sea level, from where to the right, you can see the outline of Monte Scarrone, which takes its name from its form , which in dialect is called scarruni [canine tooth]. After Punta d’Argento in a dell to the left, nestles the hamlet of Fossato Jonico. Continue in the same direction until you reach a triple junction where you find a one-storey stone building. Take the right turning and walk downhill to the Paludi River, the tributary of the Pristeo, which, in turn, is a tributary of the Tuccio River. The path leads directly down to banks of the Paludi which you will follow to the point where it meets the Pristeo and where you find a fountain and trough. Continue downhill to the Tuccio River which you can follow up to Bagaladi. Following the course of the river, on the left, you will find the final stretch of the tributary of the Tuccio which passes through Bagaladi, easily recognisable because of the presence of a high electric-power pylon. Continue on for another short stretch and on the left you will come to another rectilinear tributary of the Tuccio, flanked by a large stone embankment. Follow the path along the bank of this tributary until you arrive at Bagaladi’s urban centre (475 metres above sea level). Following the tributary uphill, on the right, you will reach the former Jacopino oil-mil, now refurbished to house the Porta del Parco dell’Aspromonte [Gateway to the Aspromonte Park], the Olive-oil Museum and an excellent restaurant. The fruit of the prickly pear [fico d’India] is covered in tiny, practically invisible thorns which can be quite sore and difficult to extract from the skin. For this reason, you are advised not to touch the fruit with your bare hands. Those who know how to handle them will gather and peel them for you. You are also advised not to eat more than about two pieces of this fruit per day as they can cause constipation. Dinner at the Porta del Parco dell’Aspromonte premises in the refurbished Iacopino Oil mill. Overnight stay, care of the Cooperativa Grecale, at one of the Diffused Hospitality lodging-places situated in the historic centre. We leave early in the morning from Bagaladi and make our way down to the Tuccio River and climb back up, between centuries-old olive groves, towards the village of San Lorenzo at 787 metres above sea level. After a two-hour walk, we arrive in the characteristic main square with its ancient elm tree. From San Lorenzo, we continue on towards San Pantaleone, passing the Sanctuary of Maria SS Assunta della Cappella, in the locality by the same name, built in the seventeenth century and housing an evocative icon of the Black Madonna probably belonging to the twelfth century. After San Pantaleone, a hillside agricultural village at about 550 metres above sea level, we continue as far as the Amendolea River, having passed through fields that once produced wheat as well as through the unique hamlet of Grotte di Condofuri with its population of only 20. Having reached the River, we follow its course to Rocca di Lupo [The Fortress of the Wolf] facing the distinctive hamlet of Amendolea Vecchia, which we reach by means of a roadway from the hamlet of Amendolea Nuova. 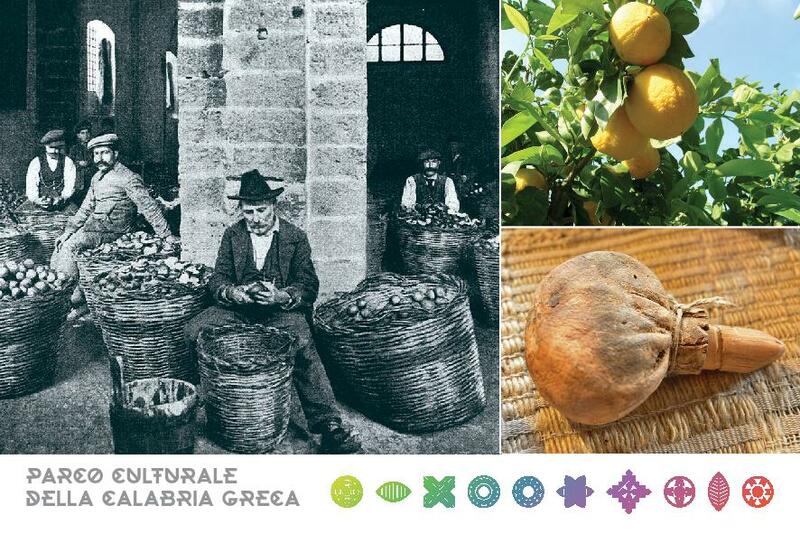 Having visited this hamlet we turn back to the Il Bergamotto rural hospitality facility. Accommodation and dinner at Ugo Sergi’s Il Bergamotto rural accommodation facility. 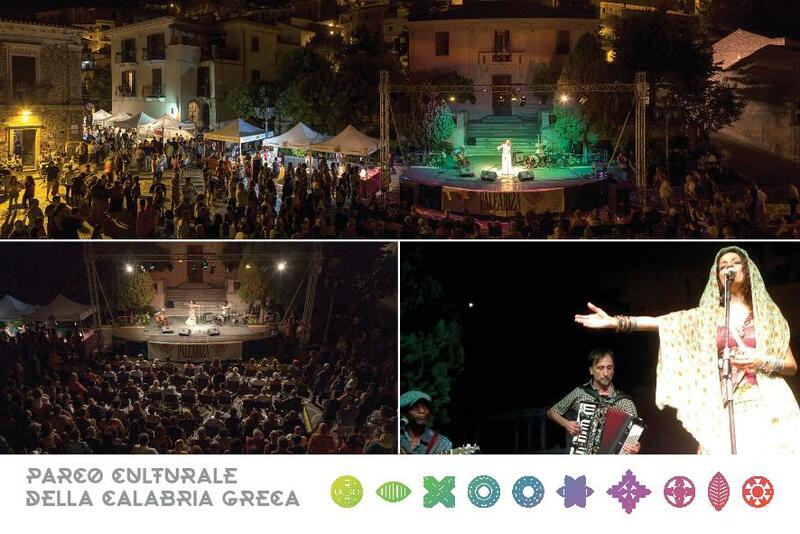 Dinner made from typical local produce; Greek Calabrian music and dance. You leave from the Il Bergamotto rural hospitality farmstead, taking the pathway that leaves from behind the farm itself and follow it as far as the Amendolea River. Having crossed the river and passed through an iron gate, continue along a dirt track leading uphill, amid tilled fields, until you reach a stretch of terraced land which once produced durum wheat. To the right of this terrace, you will find some pear trees, near to which you find the track you need to take. After the trail has passed between some prickly-pear plants, continue uphill to the top of Monte Marada (463 metres above sea level) which you will reach by crossing over some rocks. From here you continue the trail on a level with its breath-taking panoramas below, and arrive at the San Simio Locality, on the tarmacked road which from the SS 106 Jonica leads up to the hamlet of Gallicianò. A little before you arrive at this tarmacked road, turn right downhill and then, a little farther on, you meet another pathway, this one steep and uphill. Take this, keeping the houses in the Palazzine di Gallicianò Locality as your reference. Here you cross plots of tilled land and olive groves until you reach at water pump with a big cement vat. Walk on leaving the basin on your left and having passed some ancient olive trees, continue in the direction of a fence. Then cross a small drain and walk uphill for a few minutes until you reach a dirt track. Follow the track to the right for about five minutes then take the well-trodden pathway to the left which slopes steeply uphill. Having passed among some prickly-pear bushes you reach a tarmacked road in the Palazzine Locality. Take the right turning which leads up to the hamlet of Gallicianò in approximately twenty minutes. Leaving Amendolea, follow the tarmacked road for a number of metres until you reach a bend from which you turn left onto a cement road, later unpaved, leading to the cemetery. Follow the dirt track for about one hour, paying attention not to take any of the turnings until you reach the Amendolea River in the Foculiu Locality (255 metres above sea level). From here follow the course of the Amendolea River, ford it a number of times. After about an hour and a half you will in Amendolea at the Bergamotto rural hospitality farmstead. Accommodation and dinner at Ugo Sergi’s Il Bergamotto rural accommodation facility. 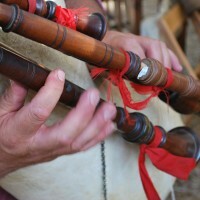 Dinner made from typical local produce ; Greek Calabriam music and dance. 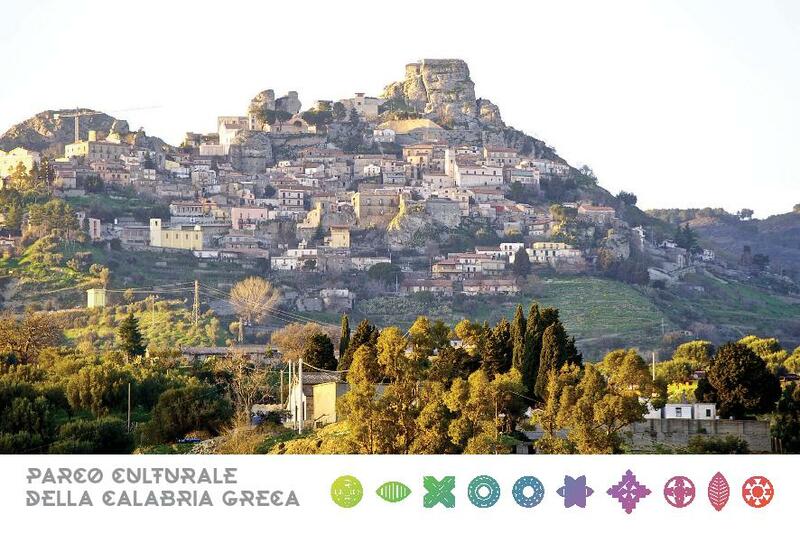 This itinerary, which follows a track recently plotted by the Reggio Calabria Aspromonte Section of CAI [Italian Alpine Club], takes us through level and terraced fields, once tilled to produce durum wheat or covered with olive groves and vineyards growing autochthonous varieties of grapes. Now that the cultivation of wheat has been forsaken, the olive groves and vineyards have remained to produce excellent extra virgin olive oils and the famous IGT Palizzi wines. 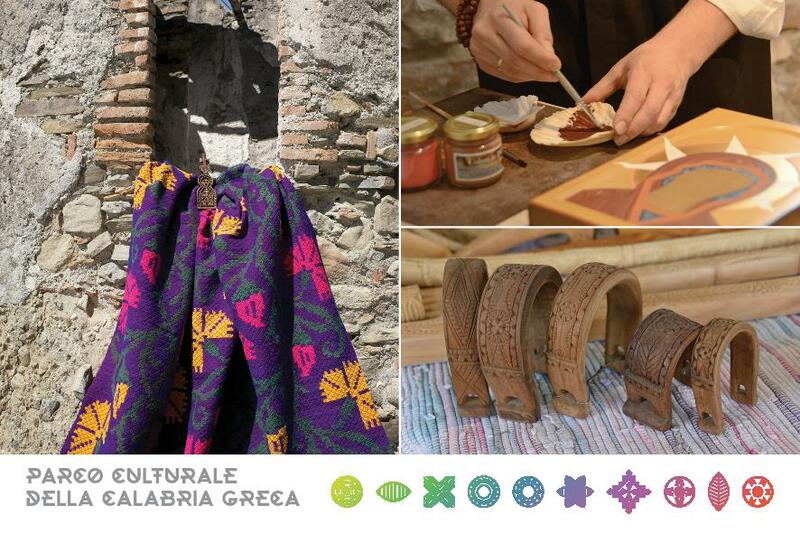 In particular, one of the localities we cross, called Brigha, is famous for the quality of its products. From here on, there are several shortcuts which permit you to avoid all the bends in the tarmacked road. Then, when you reach the town, continue through the characteristic streets of the Historic Centre until you reach Piazza Roma, the main square with the Town Hall. 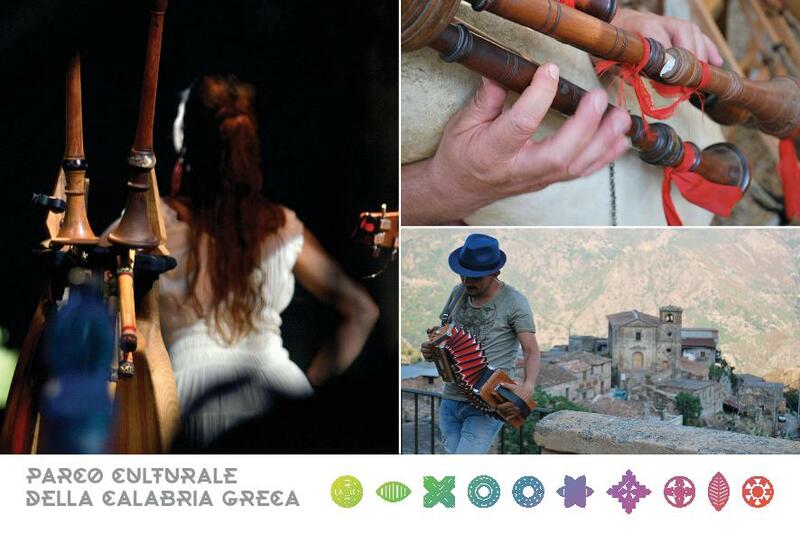 Dinner at Ristorante Grecanico di Bova with typical local produce accompanied by traditional Greek-Calabrian dances. Overnight stay care of Cooperativa San Leo at one of the town’s guesthouses. The itinerary follows one of the oldest pathways linking Bova, Roghudi and the Aspromonte hinterland. The trail is an ancient mule track which, until the end of the 1970’s, was used regularly by the inhabitants of the valley and of the hamlet of Roghudi. 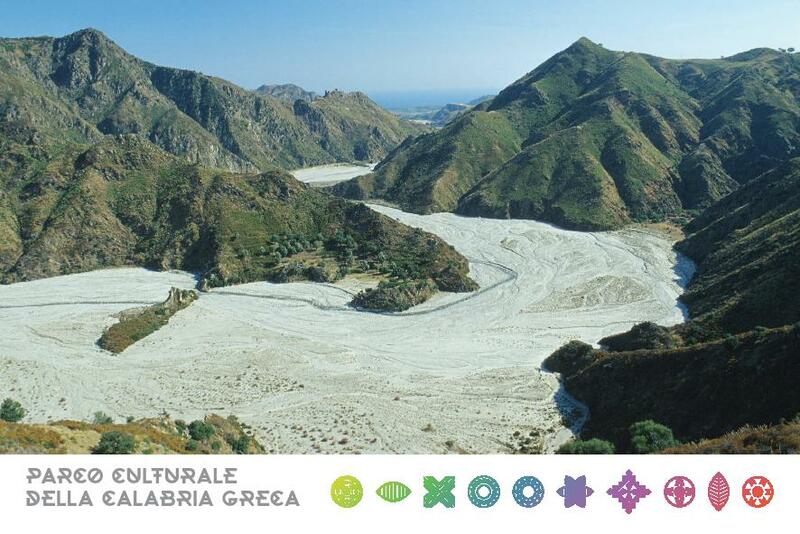 A part of this mule track, still in very good condition, has been included among the sites of the Segni dell’Uomo nelle Terre Alte dell’Aspromonte [Signs of Man in the Uplands of Aspromonte] project drawn up by the Reggio Calabria Aspromonte Section of CAI [Italian Alpine Club]. The mule track crosses terraced fields and, along its route there are many abandoned farm houses and buildings, bearing witness to an important rural past. Travelling along this mule track, most of the time you can see, from above, the imposing bed of Amendolea River, before you actually cross it and follow its course for about an hour before you arrive at the foot of the hamlet of Roghudi. Departing from Piazza Roma, Bova’s main square, along the tarmacked road in the direction of the Ristorante Grecanico run by the Cooperativa San Leo and the Sports field. This road leads to Campi di Bova and the Mandùddhuro Locality on the Via Polemo, where it meets, left, another tarmacked road going downhill to a group of houses and then on to Amendolea. Near the first house, turn right onto a well-signposted trail (signposting in red and white, because this pathway is part of the Bova – Delianuova route created by the GEA Aspromonte Excursion Group). Follow this trail, a comfortable mule track, making sure not to turn left at the next fork you meet, in that this would take you to the hamlet of Gallicianò. Go straight on, and having passed by a number of streams and through a holm wood, you will reach the Lestizzi Locality (668 metres above sea level) where you will find, left, some centuries-old olive trees and a number of derelict buildings now used to house cows. Continue until you come to an abandoned sheep fold on your left. Take the left-hand path you find here and walk on, passing some large chestnut trees and a brook, until you arrive in the Spartusa Locality (671 metres above sea level), which you will recognise thanks to some derelict houses and a group of very large mulberry trees. Continue along the trail which slopes gently downwards and pass under the mulberries. Do not take the dirt track which leads up to Campi di Bova. 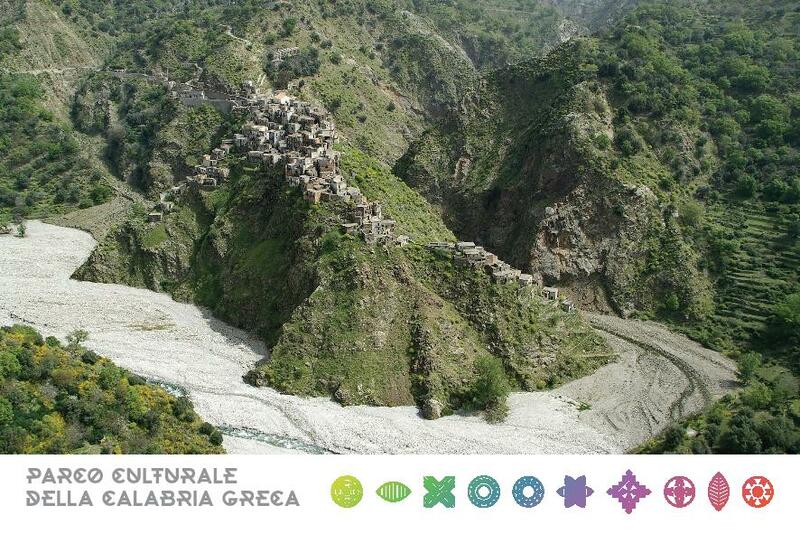 Having passed more derelict houses and another stream, you will find yourself in the Chieromandri Valley. Having left this, and paying great attention as your cross the next stretch which goes through an area prone to landslides, you then proceed towards the Tribona Locality with its clearly visible houses acting as your reference and which you reach, having crossed another stream. Leave the houses behind you and cross the terraced fields of olive and cherry trees. Then turn right onto a trail which takes you to the Noì Locality (516 metres above sea level) with its terracings, large tilled fields and numerous farmhouses. From here take the dirt track and walk uphill for about fifty metres, then take the left-hand turning that brings you, in a only a few minutes, to an abandoned farmstead from where you can see the Amendolea River, flowing a few hundred metres farther downhill, and catch a glimpse of the hamlet of Roghudi Vecchio. You leave this abandoned building behind you, and walk swiftly downhill until you arrive at an outcrop and yet another abandoned building. Turn right and continue downhill and, having passed a huge abandoned cistern, above which you can provide yourself with drinking water. Continue until you reach two old farmsteads, both quite visible from above, near the Amendolea river bed. Having left the farmhouses behind, take the left pathway down in the direction of the Amendolea River (341 metres above sea level) and, once you have reached the banks of the river walk uphill for about an hour over the fields to the foot of the hamlet of Roghudi Vecchio. From here walk up and into the hamlet, and then walk through the streets that take you to a little square a small church. The return journey to Bova will be by jeep and van. 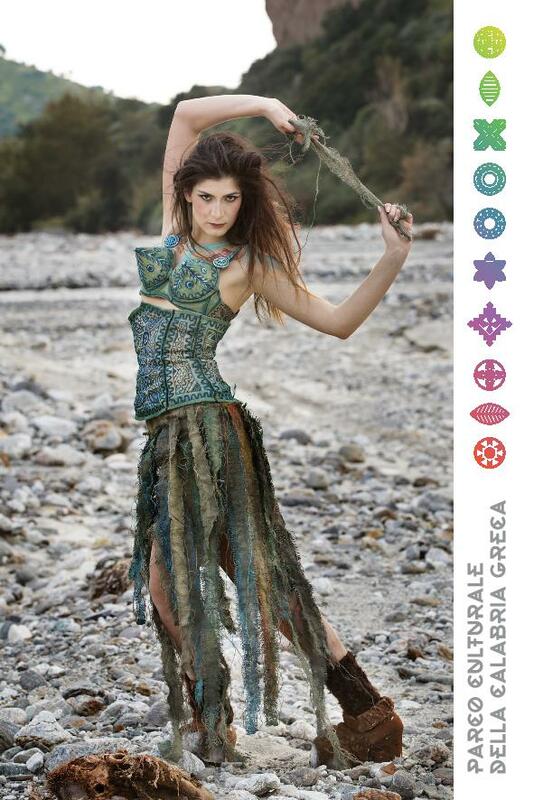 Along the tarmacked road, which from the hamlet of Roghudi Vecchio leads up to Campi di Bova, you will come across two wonderful natural rock formations, the Rocca del Drago [The Dragon’s Den] and the Caldaie del Latte [The Milk Cauldrons] . Availability of drinking water: before departure at Bova; a spring at Verceo reached after a short detour on the tarmacked road which links Bova and the Mandùddhuro Locality; a drinking fountain near the Lestizzi Valley; the hamlet of Roghudi Vecchio. Dinner in the Ristorante Grecanico in Bova a base di prodotti tipici con musiche e danze della Greek Calabria. Overnight stay nelle case del sistema di ospitalità del Centro Storico care of the San Leo Cooperative. Departing from Bova’s main square, Piazza Roma, we take the Via Borgo and walk as far as the butcher’s and the Al Borgo shop selling Typical Local Produce. From here we turn right onto a small cement pathway and after a few metres reach a turning. The right-hand fork leads us to a house and to a site equipped for camper vans. Having passed the house, and a little before the camper-site, we follow a brief downhill stone path which leads us to a drinking trough. Having passed the trough, a cement pathway passes by a second house and by a small wooden gate. Having passed the gate we continue along the pathway, right, to a house surrounded by a wall. We continue along the same path, paying attention not to take the one near this house, and after about 15 minutes we meet a cement path which takes us to yet another house (on our left). Having passed this house, we arrive at a curve where a small path allows us to cut through the bend. We then continue along the cement pathway and, after about 10 minutes, we arrive at another curve just before an inhabited house standing on the right. From this curve, a trail leads downhill to an old mule track which is not very easy to see at first. We follow it and walk until we come to the ruins of a shelter for animals, left. Having passed it, we continue downhill along the dirt track which joins the mule track again, right. We proceed down in the direction of the ruins of an old flour mill, visible from above, until we reach the San Pasquale River in the Cosmano Locality (420 metres above sea level). Having arrived at the San Pasquale River, we cross the concrete bridge spanning it and then begin the climb up along the opposite slope, continuing uphill until we reach a large abandoned farm building we saw on our way down. Close to this building, we take a trail up to a saddle situated among rocks. Having arrived here, we then follow the well-trodden pathway first to another ruin and then to a derelict house which we will recognise because of a wall resembling the remains of a tower. From this derelict house we walk down among the terraced fields until we come to a trail close to a rock. Having taken this pathway as far as yet another derelict house (about ten minutes), we continue past an old pigsty, until we reach the torrent flanked by large oleander bushes. Having left the torrent behind you, continue in the direction of another abandoned, derelict building, which was clearly visible as you made your way; having left it behind, we begin the climb in the direction of the houses at the top of the Licofossi Locality (590 metres above sea level). We can choose to walk either through the fields or on the pathway through the shrubs, created recently by the local guides. Having passed the first and second houses, we take the track which links Bova and Palizzi. When we arrive at the junction, we turn right and continue walking for about one hour, when, close to Palizzi, we come to the tarmacked road leading to the cemetery. Having turned left here in the direction of the cemetery, and after only a few minutes, we arrive at the characteristic hamlet of Palizzi Superiore. Availability of drinking water: at Bova before departure; at a spring in the Agrappidà locality. From the hamlet of Palizzi Superiore a short drive for dinner and overnight stay at the Agunì rural hospitality establishment or on the coast the Doccica Camping site. Breakfast: At the Cooperativa San Leo’s Graecanic Restaurant. 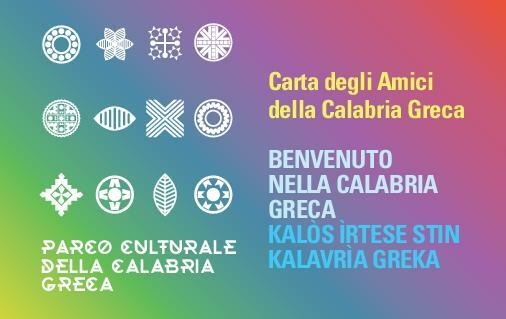 Transfer to Reggio Calabria, care of the Cooperativa Naturaliter, by train or coach and (depending on departure times) the chance to visit the Museo Nazionale della Magna Grecia [National Museum of Magna Grecia] to admire the Bronzi di Riace [RiaceBronzes] and other lesser-known exhibits and stroll along the Italo Falcomatà waterfront, which Italian poet Gabriele D’Annunzio called Italy’s most beautiful kilometre, with its amazing view of the Strait of Messina and Mount Etna. You may wish to visit the Roman Baths and the Greek Walls and taste, in one of the gazebos on the promenade, granita and ice cream in one of Reggio’s famous gelaterias. 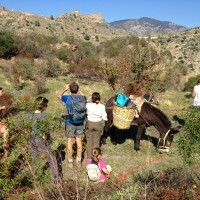 Guided tours of the Villages and Trekking Guide (transport included). 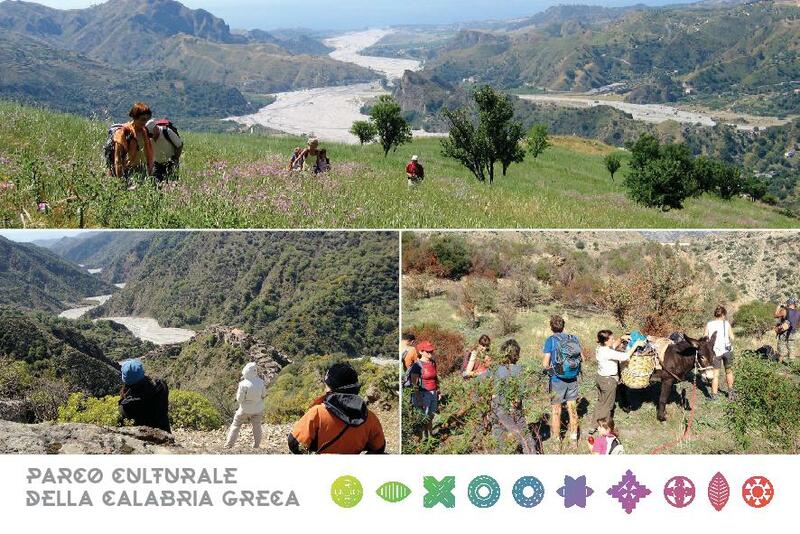 GAL Area Grecanica, through the Pucambù Agency, will provide each group of excursionists with a Montana 680T GPS with the routes pre-memorised, free of charge. A GoPro HERO 4 Black Adventure Edition Videocamera may be hired on request. The rental cost of this Videocamera is € 5.00 per day. 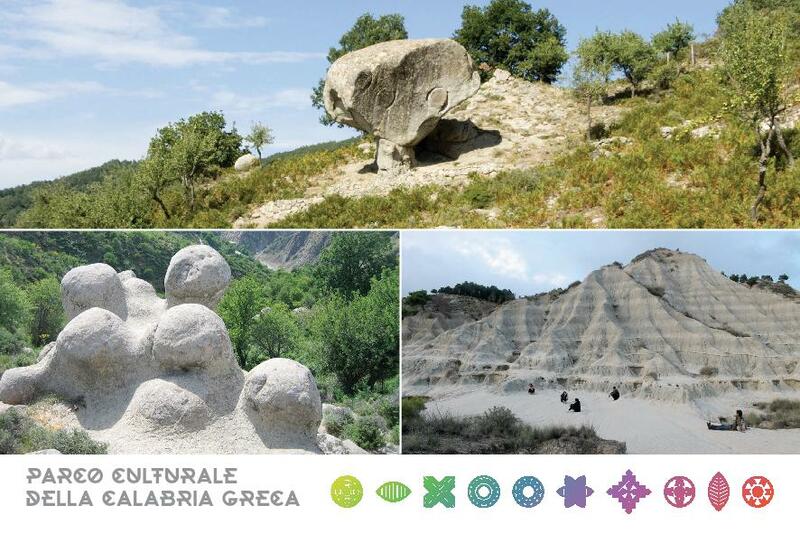 Excursionists may ask GAL Area Grecanica to publish their videos on the Greek Calabria Portal. To order a GPS and/ or a video camera please e-mail info@calabriagreca.it. This Tourist Package costs € 700 [seven-hundred Euro] per person. The fee covers the costs of transport, bed and board, as well as the services provided by the Naturaliter guides. Hou much 8 + 4?